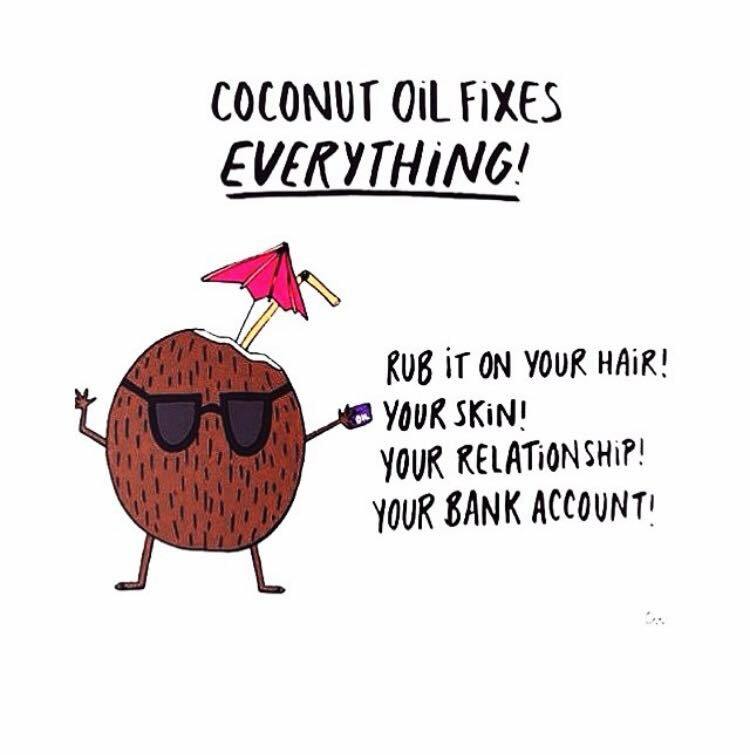 I’m in love with the Coco(nut Oil)! Coconut Oil’s fat makeup is very unique in comparison to other oils. As with other oils, coconut oil is 100% fat. The difference between coconut oil and other oils is that it’s fat content is made up of ~60% medium-chain triglycerides (MCTs) and 40% long-chain triglycerides (LCTs). In other oils, the majority of triglycerides found are of the long-chain form. LCTs are more likely to be stored in adipose tissue (fat tissue) as they circulate throughout the body (may raise the bad LDL cholesterol, increase risk heart disease, etc) . MCTs, on the other hand, have the ability to be readily absorbed into the blood stream. Therefore, they are readily burned off as fuel and give you energy. MCTs may have the ability to increase your good cholesterol (HDL cholesterol). So what is the difference between unrefined and refined coconut oil? Always remember, no matter what the benefits are, too much fat can lead to weight gain. Everything in moderation! I love using coconut oil for my cooking as I LOVE the flavor and nutritional benefits. I use Nutiva Coconut oil, which is found at Costco and is UNREFINED and organic. To further support the safety of coconut oil, researchers in a randomized clinical trial gave 40 middle-aged Brazilian women with abdominal obesity 2 T of soybean or coconut oil daily for 12 weeks. At the end of the study, both groups lost weight, but only the coconut oil group saw a significant decrease in waist circumference. In the soybean oil group, levels of total and LDL cholesterol significantly increased, while HDL levels decreased, worsening their cardiovascular risk profile.